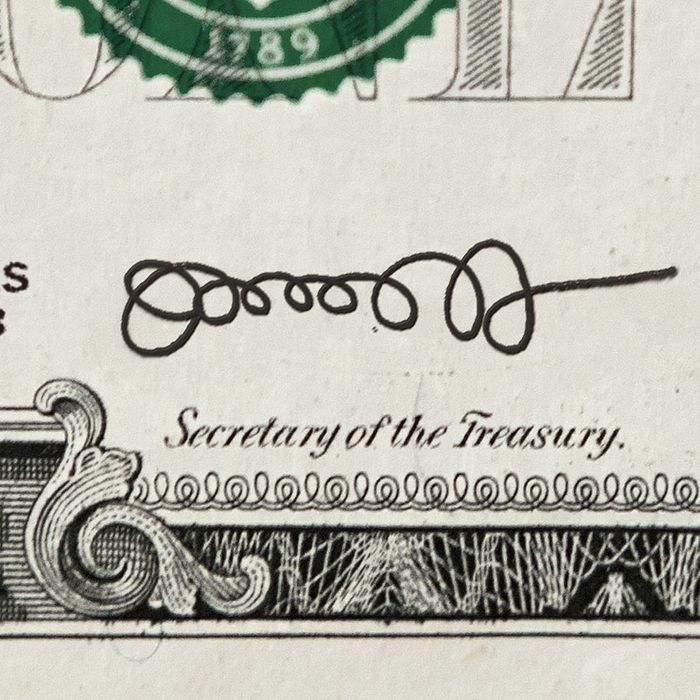 Sure, future Treasury secretary Jack Lew’s signature is hilarious — but what does it mean? Absolutely nothing. It’s just a bunch of circles. Yet for the past three days, experts in the faux-scientific field of graphology have used the signature to offer unqualified conclusions about Lew’s personality to a media thirsty for some fun Lew coverage. Not surprisingly, the handwriting analysts failed to reach a consensus on what, exactly, a bunch of pubic-hair-looking squiggles tell us about Lew’s character. Personally, we think it means Lew is self-conscious about his pubic hair. “From his signature, it seems to me that he’ll put forth his ideas, and he’ll keep going until he gets done what he wants to do.” —Shiela Low, president of the American Handwriting Analysis Foundation, consulted by CNN Money. “The fact that it’s illegible means on a deeper level, he’s someone who doesn’t want to show his true self … He’s protecting himself.” —Elaine Charal, graphologist, consulted by the CBC. “His signature shows a lot of imagination.” —Eileen Page, graphologist consulted by Time. “[The lack of space between the letters] would be indicative of a possible communication problem since there is no place for him to let anyone in.” —Susanne Shapiro, graphologist consulted by the Jewish Daily Forward. “His imagination is probably as relatively large as the loops, and much of his energy is expended in the realms of abstract thinking, perhaps even religion.” —Graphology Consulting Group, as reported by the AFP. “Such strokes are common among those who prefer a ‘softer’ approach to problem-solving, she says.” —the Washington Post quoting graphologist Kathy McKnight. “The fact that he used this kind of signature shows that he tends to be a mystery man. That’s the bad news. The good news is that he’s able to keep secrets.” —Ruth Brayer, graphologist consulted by WPIX. “Overall, an intelligent, eccentric, introverted individual who is far more concerned about his thoughts and goals than relationships.” —Mark Hopper, president of Handwriting Research Corporation, consulted by Fox News. “His signature reveals that he will most likely fall in the middle of the road category on many issues.” —Dianne Peterson, graphologist consulted by Fox News.